Our Old Oak design is based on a Craftsman-era magazine cover. 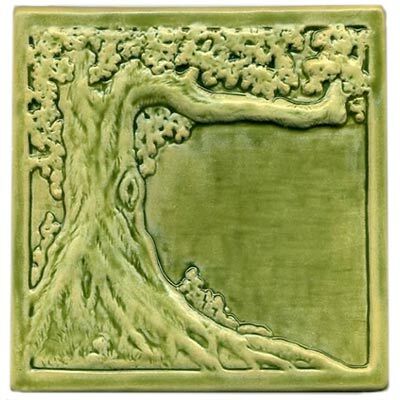 It measures approximately 7 1/2" square and is sculpted in relief. This tile is available in any single glaze color or stain. 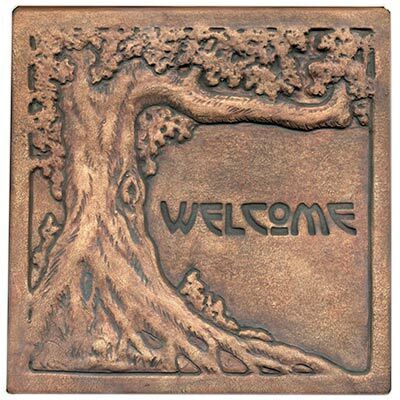 We can add an Arts & Crafts style "Welcome" impression to the tile upon request. Colors shown: spring green; sepia stain with "Welcome" stamp.